A serious power struggle in the Coast ODM leadership is now threatening to split the party and is now slowly losing its popularity in a region where the party won two thirds of elective positions in the last general elections. 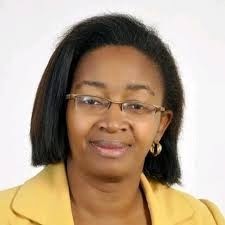 Mistrust and turf wars among Coast leaders are now playing out with a section of ODM politicians in the region adopting a new political strategy in their dealings with the party’s leadership following a major fall out between Mombasa Governor Hassan Joho and a number of party MPs across the region. 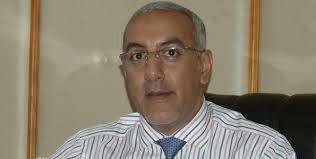 Already, two camps have emerged and the power struggle could rekindle the Sharrif Nassir versus Najib Balala drama in the early nineties. Although ODM MPs from the coast region have been fighting though behind the scenes, last week, the gloves were off ahead of the Tononoka rally. To show how bad the situation is, section of Mombasa Cord MPs led by Abdulswamad Sharriff Nassir (Mvita), Rashid Bedzimba (Kisauni) and Likoni’s Masoud Mwahima conspicuously skipped Tononoka’s rally. The three MPs are said to be in a camp that has now fallen out with Mombasa governor Hassan Joho. The three according to sources claim they have fallen out with Joho over his leadership style. The rift between the Joho camp and the opposing camp have continued to widen and which culminated into the Tononoka ground’s boycott. Sources say Joho who was in charge of the rally had planned to embarrass Nassir by omitting his name in the team that was to receive Cord leader Raila Odinga. What irked Nassir is the fact that Tononoka is in constituency and was naturally the one to welcome Raila. On reading the signs on the wall, he claimed that he was busy with other commitments and could therefore not attend the rally. Without mincing words, he later clarified that he felt it was better to keep his distant with Joho than to be embarrassed before his constituents. Investigations also reveal that Joho and Nassir trouble begun when attempts were made within Cord to sack Gideon Mung’aro as cord’s whip. It was during the debate that Joho is said to have attempted to back Nassir to take over from Mung’aro but later withdrew his support to back Mung’aro. Nassir did not take the matter kindly and vowed never to support Joho again. Mung’aro on the other hand having gotten wind that Joho was backing Nassir to oust him; he withdrew his support for Joho and immediately stated associating with Jubilee. The two have since remained sworn political enemies. Mwahima on his part openly said that he did not attend the Tononoka rally because he cannot work together with Joho. “Mimi siwezi fanya kazi na yule bwana, (I cannot work with that person)” he said. 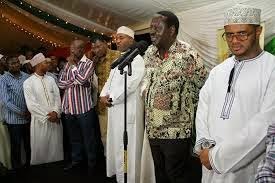 According to Mwahima, Raila is aware of the discord between him and Joho, but he has not made any attempt to resolve the problem. But what is worrying ODM supporters most is the fallout between Joho and his successor Bezimba. Within the political circles, Bezimba was once a great ally of Joho. As bickering among ODM leaders continue, it has now emerged that MPs and politicians opposed to Joho’s leadership are now threatening to ditch the party ahead of 2017 elections. 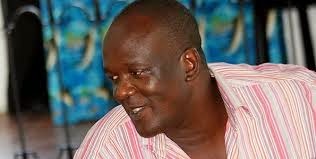 Leading the onslaught against Joho is Kilifi North MP Gideon Mung’aro who at one time had claimed that he could be headed for William Ruto’s URP while other MPS are contemplating joining Uhuru Kenyatta’s TNA. Another group of MPs are also towing around with the idea of joining the Republican Congress party by formed by Mining Secretary Najib Balala. But the MPs who are planning to ditch ODM are not sure whether voters would support them or stick with alternative candidates selected by ODM. Investigations reveal that the fall out between Joho and ODM MPs is so big that majority of MPs are planning to quit at the end of their parliamentary term. Joho is however enjoying the backing of Mombasa senator Omar Hassan of WDM. Also in Joho’s team is Wundanyi MP Thomas Mwadeghu. The MPs who are said not to have time for joho and who are now considering ditching ODM include Dan Kazungu of Malindi, Hassan Mwanyoha of Matuga, Mustafa Iddi of Kilifi South, Aisha Jumwa women representative for Kilifi, Suleiman Dori of Msambweni, Khatib Mwashetani of Lunga Lunga, Gunga Mwinga of Kaloleni, Hari Kombe of Magarini, Zainab Chidzuga of Kwale and Jones Mlolwa of Voi. Investigations further reveal that most of the Coast ODM MPs are not happy with the way Joho has been treating them. They claim Joho has always gone out of his way to claim the position as the region’s political supremo trying to achieve a fete the late Shariff Nassir took years to achieve. But even as Joho feels the heat from section of MPs, he is said to be enjoying the backing of Kilifi Governor Amason Kingi. Both Joho and Kingi boasts of having ensured ODM won majority seats in their respective counties in the last general elections. However ODm is not very strong in Lamu and Tana River counties. Despite bickering in ODM, Jubilee has failed to win the heart of Coast voters. In the entire Coast region, CORD took most National Assembly, Senate, gubernatorial and County Assembly seats. It is also important to note that there is not a single elected Jubilee politician in Mombasa County which like, Kwale, Taita Taveta and Kilifi counties, is dominated by the CORD affiliate party ODM. In Kwale Gonzi Rai, the Kinango MP is the only Jubilee MP among CORD senators, MPS and ward representatives. 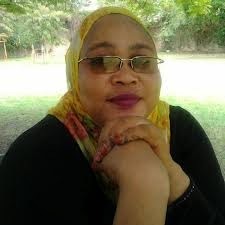 Jubilee’s only leader in Taita Taveta is Taveta MP Naomi Shaaban of TNA while Tana River has TNA’s Ali Wario in Bura. Joho could also be feeling the heat from his political opponent Mombasa businessman Suleiman Shahbal of WDM who after loosing the gubernatorial race to Joho filed a petition which was later dismissed. Those who were in Shahbal’s team but have now abandoned him and are now in joho’s camp are Hassan Omar, Afia Rama, Philip Ndolo Hezron Awiti, Badi Twalib, Fahad Kassim and Salim Thenge. The name of Balala has also featured prominently in the ODM wars in Coast province. Those who know him well say that he has never had any serious support at the grassroots, and mostly relied on getting uncontested nominations from sponsoring parties. In, 2002 he made his entry into parliament; and in 2007 when he retained his Mvita seat. He is known to have very little time for Joho. 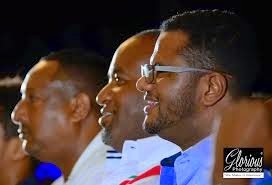 Sources say the genesis of the Balala-Joho fallout was immediately after the 2007 election after each sponsored a candidate in the Mombasa mayoral election. Ahmed Mohdhar, Joho’s choice for the seat, triumphed to the chagrin of Balala.